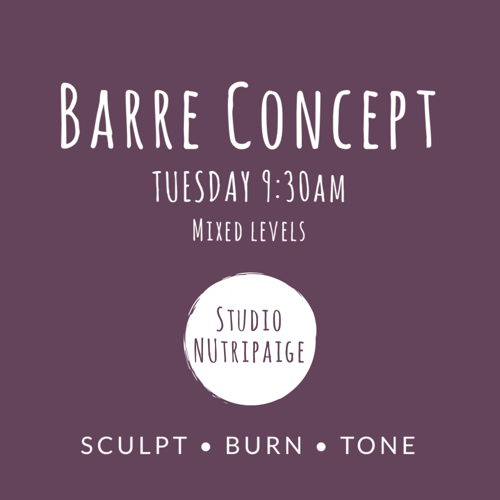 Barre Concept combines the precision of Pilates and the alignment of yoga with the grace, technique and inspirations of ballet. A creative 60 minute workout which is designed to shape your entire body, focusing on strength, flexibility, posture correction in the upper body, pelvic alignment and burning the muscles in the legs, glutes and abdominals. This workout will really bring out the ballerina in you in an enjoyable, fast-pace class. I encourage you to sign up for a course to really feel the benefits as you will find yourself improving week by week. 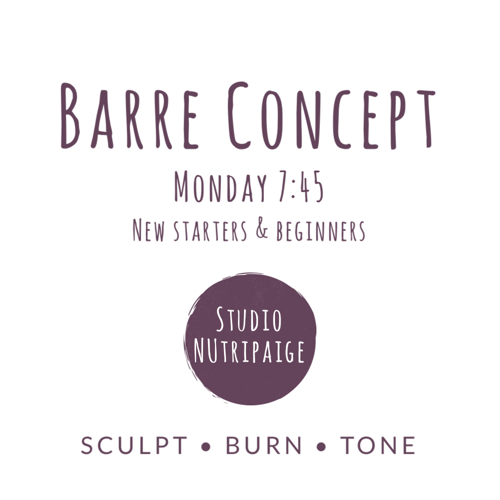 The class will start at a beginners level and as you improve, the choreography will adapt and move on with you. The aim is that this class will turn into an intermediate level and I will introduce a new beginners class. I promise you'll fall in love with the way it makes you feel! 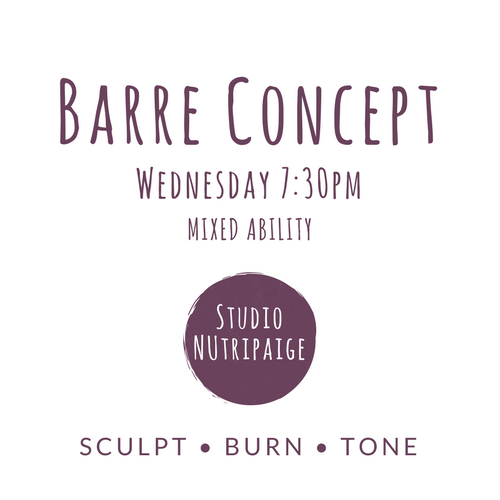 I danced for most of my childhood and teenage years and to be able to combine my love for ballet and exercise is a real pleasure for me, so fellow dancers this is a great opportunity to get back at the Barre! That being said, I can’t emphasise enough that you do not have to have any previous ballet or pilates experience. Just an open mind, the will to learn something new and a body to burn and sculpt. This class provides a fun, workout environment that women will find enjoyable and addictive. If you find something you enjoy, you'll be able to stick to it and have fun at the same time, then it doesn’t feel like a workout. Classes are also a great way of meeting like-minded people. Drop ins: A flexible way for you to come to class without having to fully commit for the full 11 weeks. I must express however that if you are planning on this option, please be aware that if the class is full, I cannot always guarantee a space will be available. I ask for you to contact the Monday of the week of the class to book in subject to availability. On your first session, please arrive 10 minutes early in order to fill out the necessary paperwork and have a quick chat with me so I can get to know you, find out more about you personally and your fitness background. What to wear/bring: Water bottle, Socks (pilates socks if you have), leggings or shorts. Competitive Costs: Similar classes ran locally can be from around £10 per session when buying a package or £15 drop in. Studios in London are charging on approx. £30 per session therefore I have done my upmost to keep the cost as low as possible whilst taking outgoing fees into consideration. I hope you fall in love with it, as much as I love teaching it. I will meet you are the Barre!